Make your portfolio easier to manage by having all your investments under one roof. You'll be choosing clear, low-cost fees and all the tools you need to get you started. Our pricing is fixed so you'll always know what you're paying. 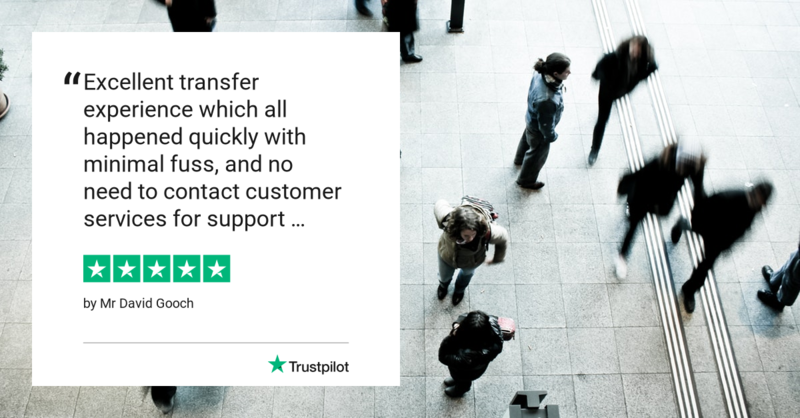 Our team is on-hand to ensure that your transfer is as fast and efficient as possible. We will not charge you for electronic transfers in, although you should check whether your existing provider levies any transfer charges before transferring. no hidden exit fees - We believe that with our flat fee pricing, you will want to stay with us. So we're happy to cover the costs of transferring stock to another provider if your needs should change and you choose to leave us. Transferring to us means you can take advantage of our straightforward pricing for all your investments. You can also track and monitor them all in one place. If you don't already have an account with ii, then you can open a Trading, ISA or SIPP to start your transfer. It only takes a few minutes to complete. You'll just need a few personal details to hand to submit the application. We’ll work with your current provider(s) and provide you with regular progress updates. Got an interactive investor account and ready to start a transfer? Simply log in to your account whenever you are ready and visit the 'transfers' section to start the process. Important information: Once your transfer has been initiated you will be "out of the market" and unable to sell existing investments or invest any cash balance until received into your new account. This may work either to your advantage or disadvantage. The value of investments, and any income from them, can fall as well as rise so you could get back less than you invest. If you are unsure about the suitability of a particular investment or whether transferring your assets is the right course of action you should speak to suitably qualified financial adviser.